As a gifted person, do your gifts thrive in your current job? 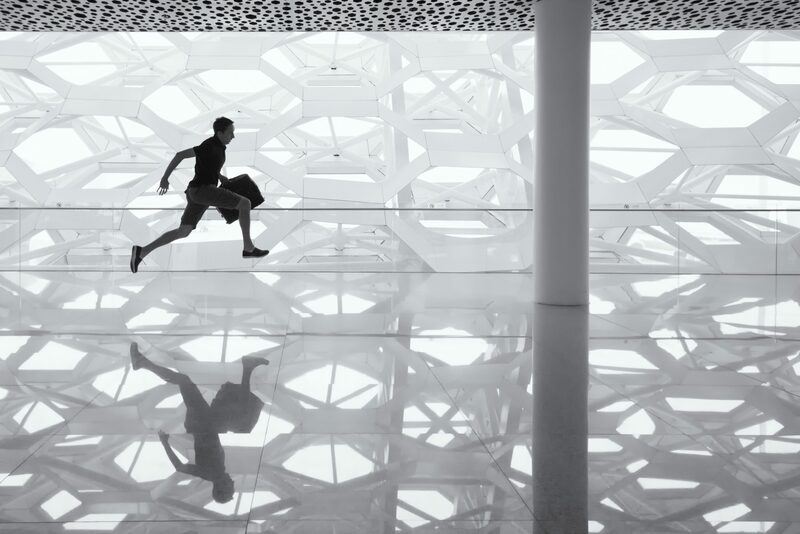 In this article, InterGifted Coach Trent Rhodes shares his own personal journey to discovering how to make his gifts thrive at work. He also explores the difference between a job, a career, and a vocation, showing us how we can connect to our vocation while creatively mixing elements of job and career with it to form our own unique and rewarding gifted career path. Before connecting with my gifts’ “home” in education and professional development, I floated among several positions that made me inquire about my own. The first was an inside sales job. I was hired quickly, fresh out of undergrad, eager to learn and a sales position tends to be the easiest entry point into an organization. Employers ambitious to sell high revenue of a product or service may go for the numbers strategy: employ many salespeople, some will fall off, others will not, fewer will become high producers and reap the major commissions. My lovely workspace consisted of a cubicle, computer, headphones and a phone to make calls. And make calls I did. One after another after another. By the fourth day I realized this repetitive behavior was not suited for me, or I wasn’t suited for it. And I wasn’t selling anything. Meanwhile, the guy a few stations to my left sold almost every time he touched the phone (I now know that it doesn’t really matter what one is selling, it’s the skill of the person and relationship-building that matters). After some thought and feeling extremely constrained sitting in that one space, I resigned. Next job was also an inside sales position, but it was a startup environment and that felt exciting. We had weekly motivational meetings and recognized the new people. It was a much more positive environment. In my naiveté, I knew nothing of what would be required from the salesperson in a tech startup. I also didn’t know this company paid employees once per month, on the very last day of the month! After seeing our performance numbers continue increasing each quarter (we had to sell more each quarter), I felt this was no longer in alignment with my skill set and temperament. While the quotas continued to rise, I was at the desk thinking about meditation and bodily control and how to write a book. Also not a match! The third position was as a recruiter for a law firm agency. I would post job openings and create ways to connect with professionals who might be looking for a better opportunity. This actually felt enjoyable; I learned about reading resumes, helped professionals practice communication and be spy-like when sneaking over to their covert interviews. Because this involved much more organic, human interaction, my abilities started to express and flow within the work environment. My productivity began to rise when I noticed this location wasn’t going to last much longer. At the management level there were conflicts and the negative tone began spilling into the work energy. It was at that point one of my undergrad peers contacted me about openings at Apollo Group, an education company. From there the rest is history. It’s likely these previous jobs were not terrible in themselves; there were employees who excelled greatly. They simply were not the right match for my gifts. And with awareness of this (I excel wherever there’s organic communication happening, strategy and influence that challenges people are needed), I was able to begin a journey of inner-outer analysis to position for not just a job or career, but a vocation. I propose these types of pursuits carry different flavors, feelings and purposes, and ultimately we can strive to acquire a blend of the three. Money: financial consistency. There’s a security knowing that every week, two weeks or monthly some kind of predictable income is reaching our accounts. The Social Status: job titles can give us a sense of importance, an ego elevation. When we attend functions or speak to ourselves, using the job title can influence self-perception. It may also influence others’ perception of us. Because Someone Else Said to Do It: could include family members, peer pressure. We tend to experience this if we go around asking other people what we should be doing or studying. I’ve known many college students who were pressured to not pursue creative design degrees due to potential lack of stability, while engineering, law or medicine were seen as more stable. Watching Other People Do It, Following a Trend, What’s Cool Right Now: this is more about self-reverse psychology. We check the news, job ads, social media, family and friends and find patterns. If they’re doing it, it must be good. Because it sounds cool: back to social status. We chase the job because it seems attractive to have it. The penalties of employing this strategy usually do not show up until time passes and we come to realize that there’s no growth with the job. The managers do not promote, the pay may not grow fast enough while the responsibilities to continue to. A job may function as just that, a mere exchange of effort for compensation, a transaction between two parties. The job has minor impact on you, rare emotional connection, little attachment due to the transactional nature. A job holds a temporary tactical purpose in your life. For these reasons it distinguishes from a career or vocation. It may be five months or five years, but at some point one begins to feel there is something missing. This brings us to thoughts of a career. While a job can be considered a momentary occupation, the career is a long-term persona that requires a different outlook. Careers Tend to be Long-Term and Strategic: if we know soon enough what we want our careers to be, we can plan out how to reach that level. Think doctor (biology and chemistry courses, maintaining certain GPAs, medical school), lawyer (English courses, psychology courses, history, law school, pass the bar), engineer (mathematics, architecture courses, geometry) and even business (yes liberal arts, psychology, business internships). Careers Tend to Involve Many Years of Planning, Time Investment and Education: in reference to the previous point. Careers Tend to Add More Personal Fulfillment & Experiences: because of the amount of energy and time we invest into a career, it’s more likely than not that we have some level of enjoyment from it. This motivation enables us to sustain the career for many years. Careers May Include a Series of Jobs Over a Progressive Timeline: in contrast to the one-time deal that a job may provide, a career comprises a collection of potential jobs, often progressing in title, income, influence and scope of skill sets. These skills become more refined and targeted for a particular industry. If we look on a professional scale, it makes sense that one might take a few jobs before deciding on a specific long-term path that becomes a career. But what if the 10-year career still feels like a mere function instead of deep gratification? Can we have careers and still feel our gifts aren’t fully utilized? One sign of this I’ve noticed is career burnout or adrenal fatigue. Working long hours and sleep deprivation in a field without tapping into one’s giftedness, I’ve seen do some major physical / mental damage. And when a person is inspired by something deeper within, a passion sparked by a mission, fueled by using her gifts, this kind of burnout rarely happens. This calling is a vocation. ...Feel like a Calling, a Passion: it’s almost as if we’re compelled to take action on a cause we didn’t objectively create, but deep down we have a knowing that this is what we’re supposed to do. ...Tend to Reveal Itself in Clues About Personal Habits: vocations manifest from what makes us feel alive, often from our natural aptitudes or inclinations. Inherent talents or tendencies hold clues into what we enjoy doing and could do for hours without feeling tired or bored. If given the space to express them in childhood, we may show potential for many vocations. As adults, there are possibly hobbies we love to do but don’t receive compensation for, yet those are the hobbies we’re willing to do for free and execute them the best out of all of our skills. ...“Call” a Person: we feel drawn to this vocation as a summoning. Something wakes up inside and we can feel guilty for ignoring it. Sometimes we answer the call, sometimes we don’t. When consumed by a vocation, we feel compelled to have to pursue it; the pursuit doesn’t end and we create a cycle of continuous personal professional evolution. Another side effect of the vocation is it may move a person to pursue it without concern for money, prestige or materialism. Examples of the vocation path include Mother Theresa, Elon Musk, Nikola Tesla, Leonardo Di Caprio on climate change and Michelangelo the Artista. How does this all relate? At the highest level, a vocation moves every fiber of our being towards some specific cause uniquely designed for an individual’s unique gifts. We’re willing to endure the hardships just like a career, but because of its strong fulfilling nature, we don’t want to quit it, and it doesn’t burn us out because we love it. Since the vocation starts peeking out early in life, if we can recognize it in time, we can select jobs that put us on the path to eventually assume it faster. - What did you enjoy playing with when younger? - Did you have an imaginary friend? What did you do with that friend? - Did you easily excel in high school in a particular class? What about college? - What task or skill felt effortless to you? - If you had all of the money, resources and time right now, what would you do? - What task or skill felt like you had to struggle to develop? - In what way do you believe you could advance the world? - What are your current hobbies? - What kind of work would you do for free right now? - If you had to rely on one skill to survive right now, what would it be? - If you had one talent to share with a new society on Mars, what would it be? - What is your purpose? - What are you most complimented on? 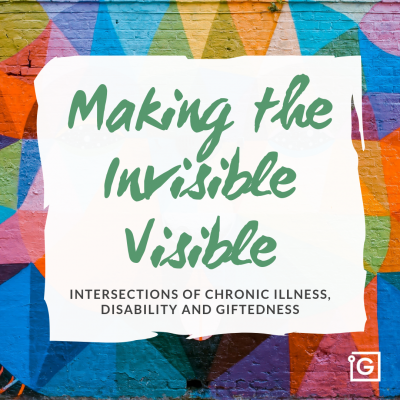 You may also enjoy reading InterGifted founder Jennifer Harvey Sallin's article on How Gifted People Can Reach Mastery, and my other articles here on InterGifted's blog, including How Gifted Employees Can Empower Themselves at Work and Giftedness and Self Discipline: Three Ways to Maintain a Work Ethic. Career development and fulfillment for gifted adults is one of my passions and specialties. Feel free to reach out to me to enquire about working with me, or to read my books or other extensive writing on the subject. Trent lives in the US and coaches gifted people all over the world for professional development and creative writing. He guides his clients to become the best version of themselves at work and in all domains. He helps his clients re-write their personal myth and empowers them to make the most of their gifted selves. He is a prolific writer and creator. Follow his work at www.iamtrentrhodes.com and feel free to reach out to us to explore coaching with Trent. Announcing our New Gifted Adolescent Community! IS GIFTED COACHING OR MENTORING RIGHT FOR YOU? 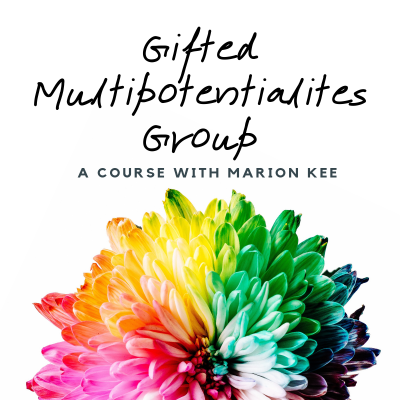 Would you like gifted-specific support and direction in understanding your gifted mind, learning how to manage your intensities, finding your passion, overcoming shame, or being authentic and creating meaning in your personal and professional situation? Email us at coaching@intergifted.com to let us know where you are on your giftedness exploration, discovery or integration journey, and how we can support you. We'll get back to you right away to connect you with a coach or mentor. You can also use this form to inquire about coaching, mentoring or assessments. Thank you InterGifted for providing such a unique and well suited coaching setup for your target audience. Being able to mix and match from the group of coaches has in itself been inspiring and has provided me with renewed hope and energy. I have been searching for an appropriate coach for quite some time and had never found someone that I felt would understand all of the aspects that I wanted to discuss. I finally feel like I can go at my speed and I don’t have to slow down or explain everything – my coach just gets me. This is a game-changer for me! The way in which Jen communicates on an energetic level, being compassionate and driven and fully capable of viewing not just a fragment of me but holistically approaching triggering events, changed my disillusionment regarding helpful guidance into deep trust and utmost gratitude…Issues that seem to pose specific problems to highly gifted persons are no challenge for her and she will honestly and passionately provide insight in all these matters. If you’re considering coaching but haven’t decided, my recommendation is to JUST DO IT! Yes you’re smart, and over time you could figure it out all on your own, but that’s just the point: your time is worth something – a lot more than what you will pay your coach… One coaching session with Jen was the equivalent of at least 2 months of reading, searching, journaling, pondering, and experimenting on my own. It’s fantastic! Willem’s knowledge of giftedness is enormous, which helps a lot in understanding myself in context, plus understanding the context itself better. His way of coaching…is an adventurous journey into learning about all aspects of giftedness that are useful for you in your given situation. Thanks to Jen’s insights, I’m making meaningful progress in understanding my gifted needs and nature. 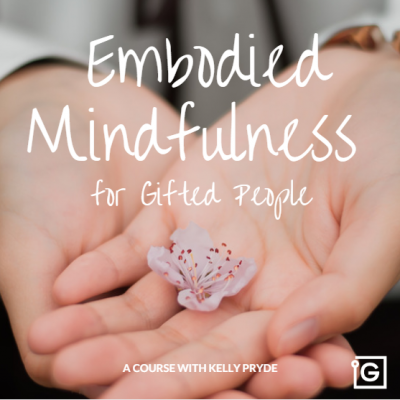 If you’d like to move to the next level of connecting with your gifted self, I recommend Jen as an excellent guide! It has been very valuable to put some focus my intensities and how they can work for me and not against me. It is brilliant to have someone on the other side of the world cheering for me, believing in me and making sure that I progress and don’t get side-tracked. And the best part: I can be myself and not hold back. I’ve been blessed and guided to meet my IG coach, which has started a new journey for me that I never thought was an option: finding out that all this time, what I thought, felt and experienced was not madness but a gift that wasn’t recognized and nurtured. Thank you so much for what you do. I was so confused about my identity, and learning about giftedness has been incredibly healing. I no longer feel alone and I have hope now, because I’ve figured out what I need help for and I know where it get it. This is such an amazing journey of self-discovery and recovery! 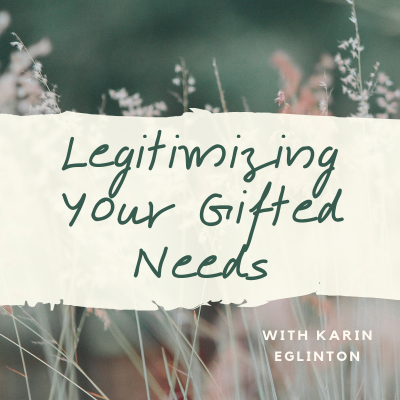 If, like me, you’re new to the whole giftedness thing and turning over stones in the hope of finding something that you don’t know you don’t know, book a session to get unbiased and your-need focused advice and insights. It’s very interactive and results in as much self-discovery as new insight offered. Being able to talk with someone with the same level and thinking speed as well as with the same humor, is important as a highly gifted individual. During the deep discussions we had…I felt understood, challenged and supported to take my possibilities to the next level. InterGifted is run by people who actually know what it’s like to have a complex or intense mind, and many of the coaches were drawn to this work precisely because they were once ‘coachees’ and saw first hand what coaching could do for them. The bottom line is, had InterGifted coaching been available when I was young, it could have saved me from decades of personal struggle. You owe it to yourself to see what it can do for you. The typical common sense wisdom doesn’t work for gifted people, not because we’re necessarily better, but because we see, think, and feel about things with much greater complexity than others. Having a coach who understands this and has spent years of study and effort figuring out what works is invaluable on your quest. This is the first time I have met a person who can understand my mind and my abilities; explain needs and ways to work. It has been a huge help in my professional life. Jen is the first person who acknowledged just how different my mind is. If you are on the higher range of giftedness, I can highly recommend this service. I feel like an extremely rare, colorful bird finally released into its natural habitat. People believe living with high intelligence ‘is great’ and ‘makes life easy’. They have no idea what an exceptional mind can be like in everyday interaction. Words cannot express what meeting my coach Jen has meant to me. Finally, my thoughts, feelings and abilities were allowed to exist. A couple of sessions has helped me more than years of traditional coaching and support. I learned more in those 3 Skype sessions with Jen from halfway across the globe than I did in years of sitting in therapy. You just handed me the information that I needed (no, that I craved) and I felt like a dying tree being revived by a rainstorm. Like manna from heaven. Clarity crystallizing from out of the fog. For that, I will be forever grateful! I was so relieved to discover that something like gifted coaching exists! I’ve had help from many other therapists and coaches over the years, with only partial results. Now for the first time in my life, I feel like someone understands me, and I’ve made more progress in two sessions than I had in all my years of therapy! Thank you so much. WHAT’S YOUR UNIQUE COGNITIVE PROFILE? Schedule a gifted qualitative assessment with us to learn about your unique cognitive profile and how you can better work with your natural patterns of thought and emotion processing. We have developed a supportive and dynamic community of over 650 gifted adults around the world, where you can get and give peer support on your giftedness discovery and personal development journey! 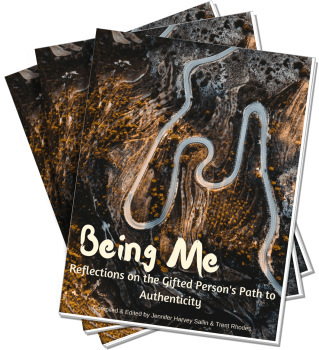 This book is a deeply moving, inspiring, diverse, entertaining, and thought-provoking visual journey through the lives of your gifted peers around the world. Get our latest articles, workshop invites, and community news in your inbox!